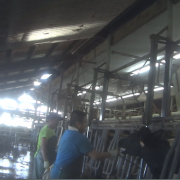 The cows are contained in over cramped holding barns during the 305 days a year of the milk production phase. 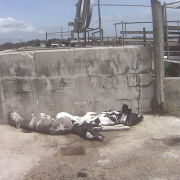 Oftentimes, they overheat and collapse from exhaustion and heat due to the extremely poor living conditions and insufficient ventilation. 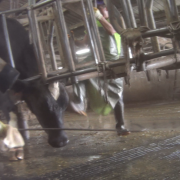 Cows are ridiculed and tormented as they are maneuvered to the milk production lines by the use of electrical prods, withstanding violent and excessive force. 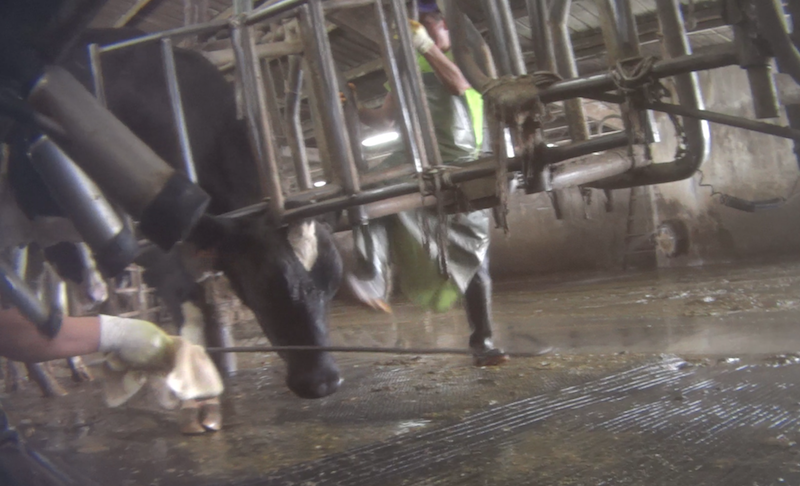 Cows are beaten into submission with metal construction rods known as rebar. 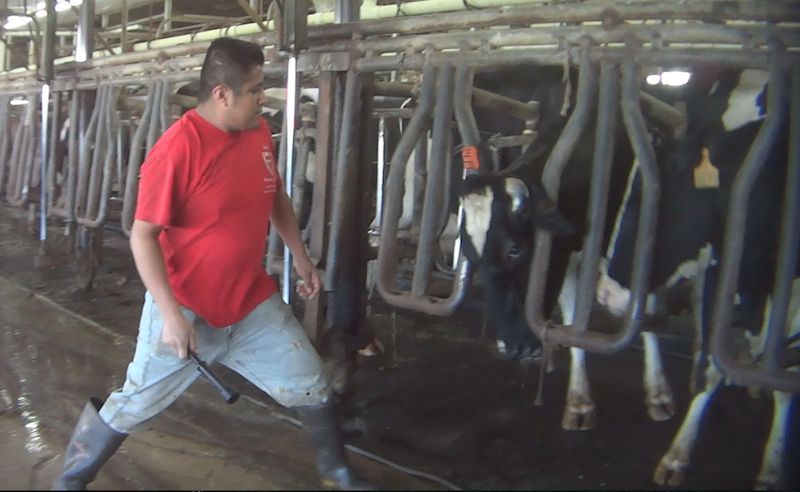 Undercover agents documented several forms of ‘home made’ torture tools, including a spear-like weapon that is used to repeatedly stab the animal in the ribs, inflicting wounds that are left untreated. 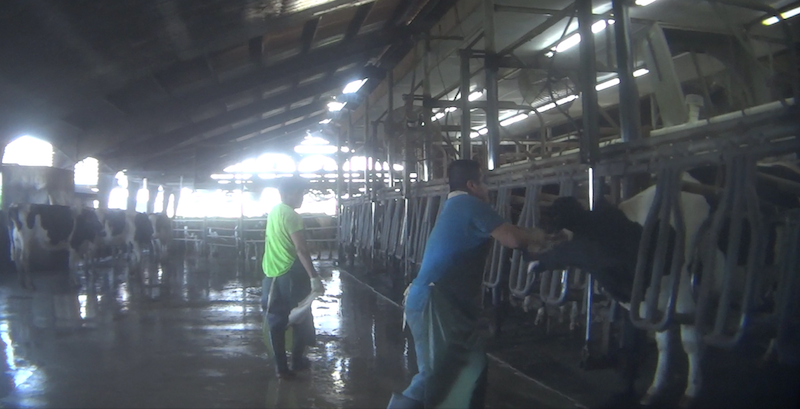 They are also beaten over their heads and bodies with these rods. 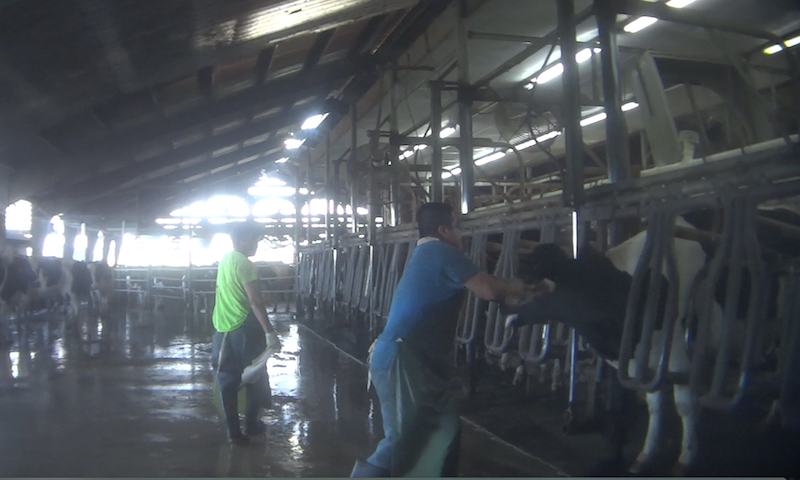 As a result of the continuous and forceful beatings, the cows fall to the ground. 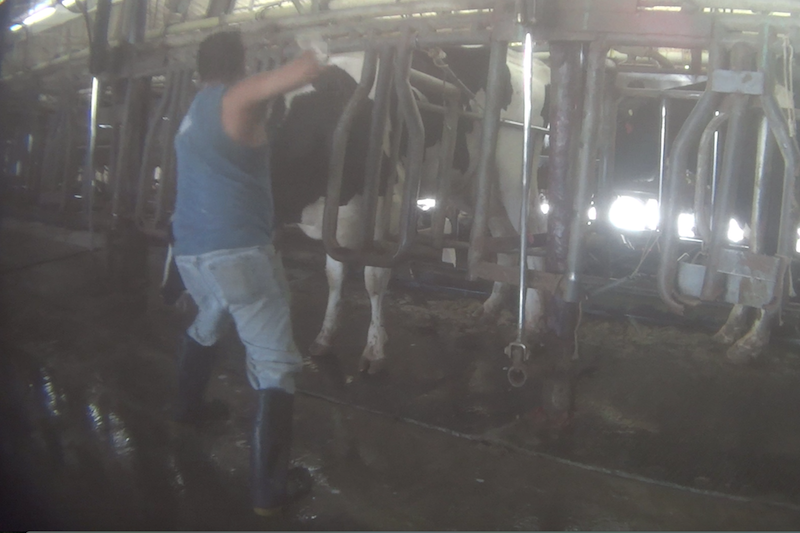 During daily milk collections, the cows are beaten over the head, punched, poked and kicked (including their sensitive udders) with other primitive tools, hooks and tools. 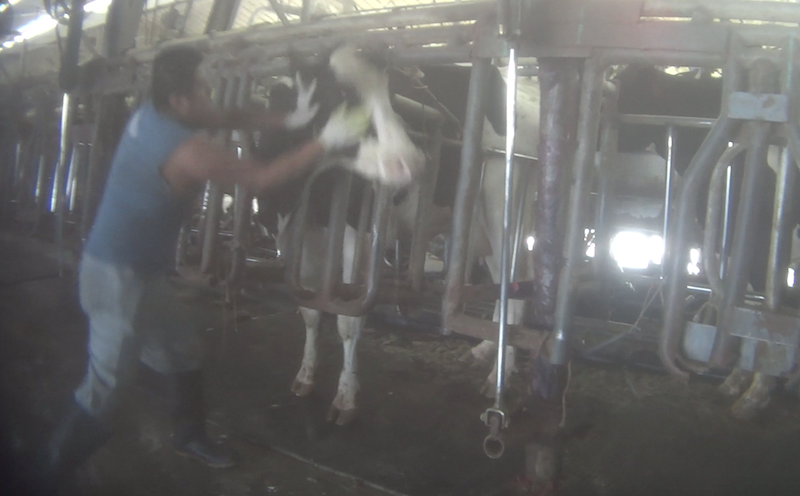 The majority of these beating occur whilst the frightened animals are trapped in a metal headlock and unable to escape. 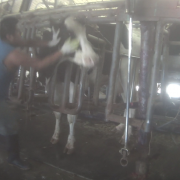 The cows were witnessed to be maliciously beaten repeatedly for no apparent reason and deep wounds and untreated abrasions were evident. 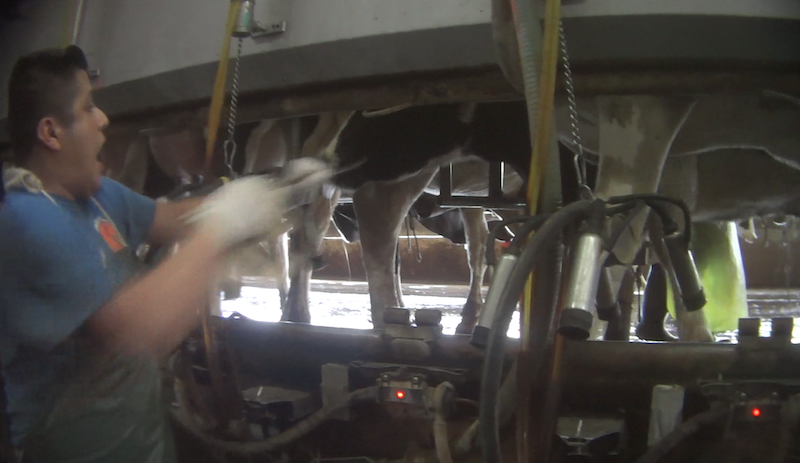 During milking, workers are taught to grab the cows tail and forcefully bend/fold and possibly break the tail bones. 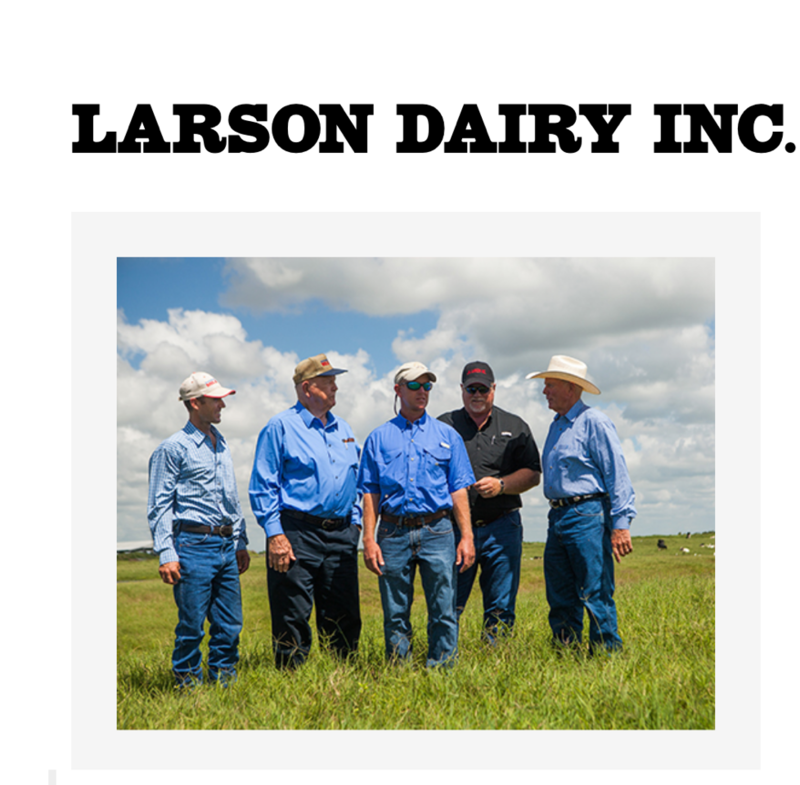 On Larson’s dairy farm, milk is collected from the cows three times a day. 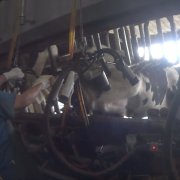 This means that, the animals are being subjected to major stress, discomfort, pain, torture and suffering three times a day, 360 days of the year. 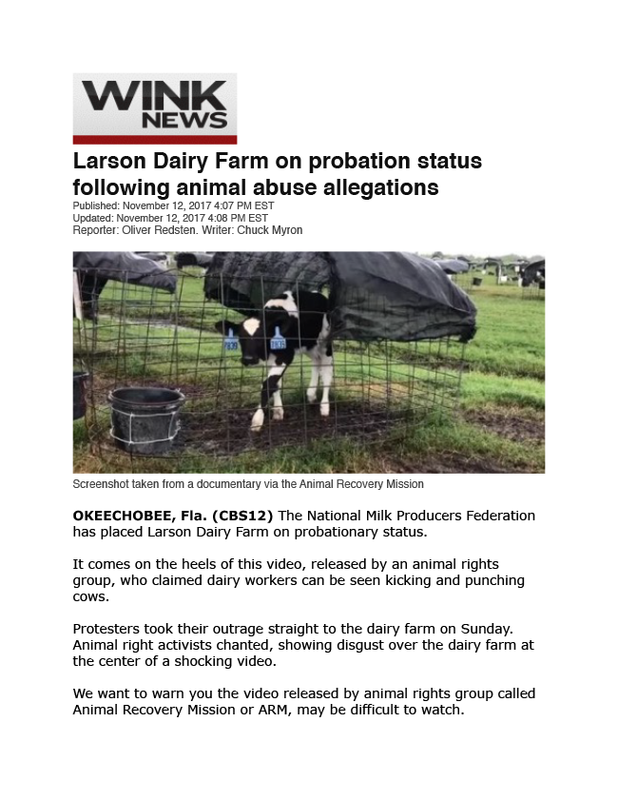 Through this investigation, it is clear that the workers on the Larson farm have an unwavering and deep hatred for the dairy cows and the beatings relay an inferior respect of the animals welfare and rights to life. 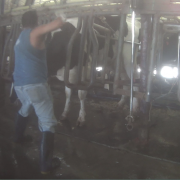 Outside of the milking and holding barns, the abuse continues with the calves – considered as mere bi-products of the dairy industry. 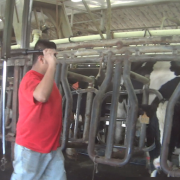 Sadly, the protocols on dairy farms are to rip the babies away from their mother, sometimes as they are born. 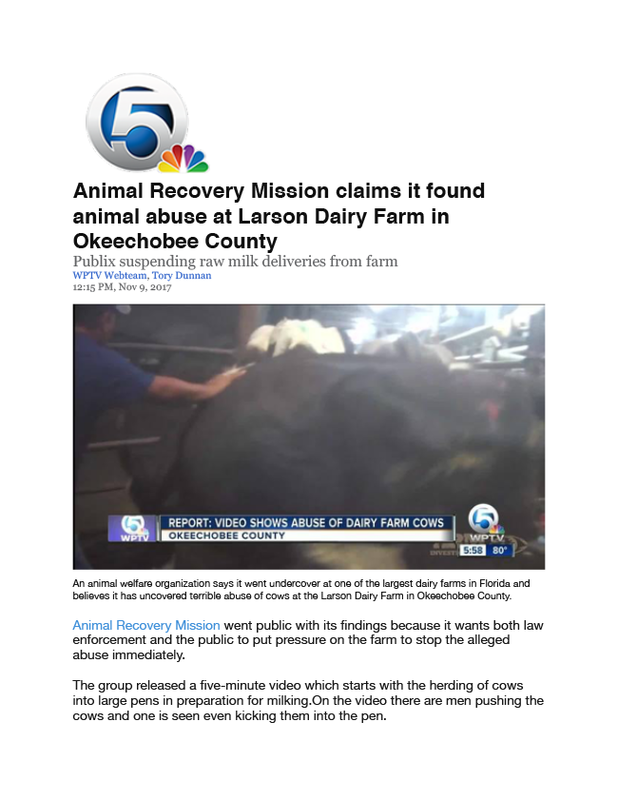 On Larson Dairy Farm, the mistreatment of the newborn calves is evident. 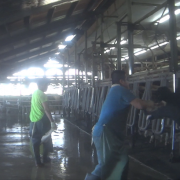 Frightened, confused and desperate for their mothers these babies are isolated in rickety cramped enclosures, unlike those displayed on the Larson website. 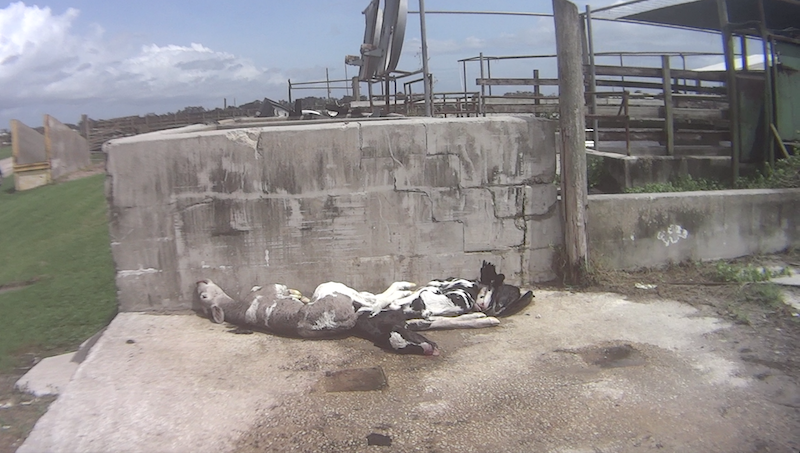 Left outside in the harsh environment, laying in mud and their own feces, the calves often face peril from prolonged exposures to the extremities of the wethering heat and inclement weather. 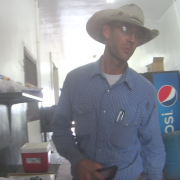 If cover is provided, it is in the form of disintegrating, shredded tarps. 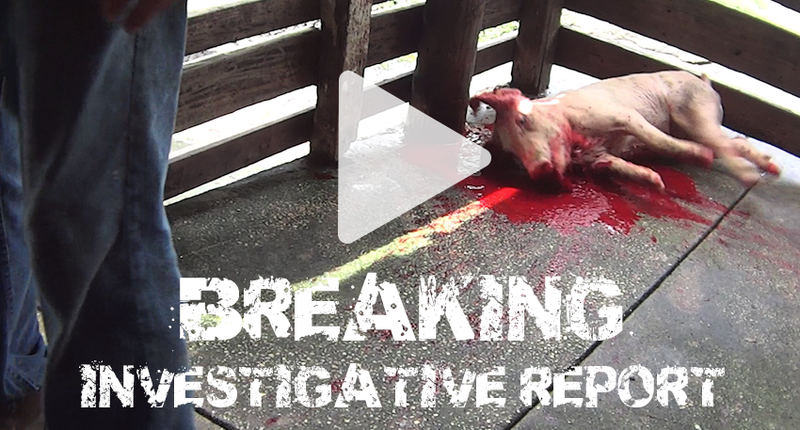 Observed during ARMs extensive investigation, is the close interaction of owner and operator, Jacob Larson, treatment to the animals. 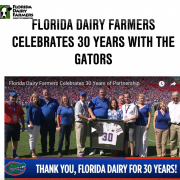 This included the animal health, treatment and overall care and consideration of the dairy cows upon Larson Dairy Farm. 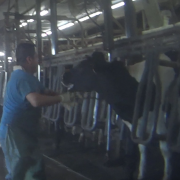 On multiple occasions he was found to be either serving, or encouraging inhumane acts against the animals that caused unnecessary pain and suffering amongst the dairy cows under his custody and ownership. 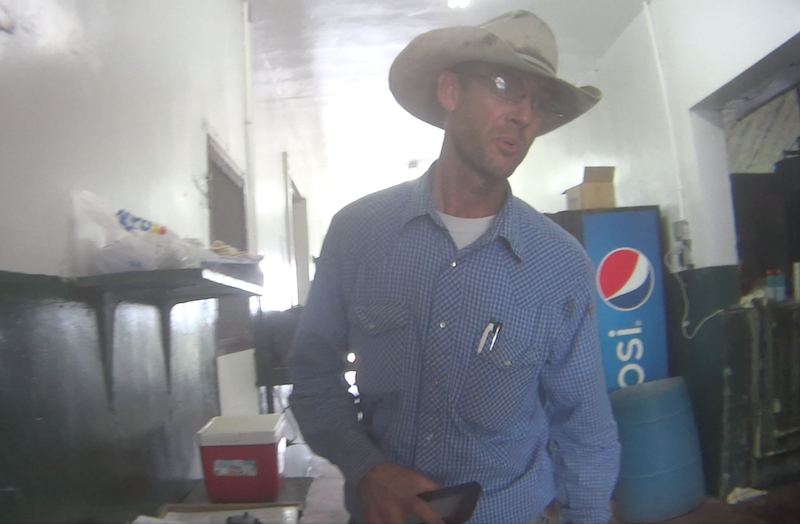 In fact, milking barn #5 (as it is referred to) is under Mr Jacob Larson’s DIRECT supervision. 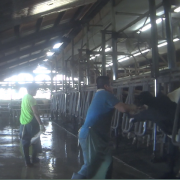 At no time during this investigation, did he reserve his criminal abusive acts nor did he reprimand or fire employees for the cruelty and maltreatment being executed upon the animals. 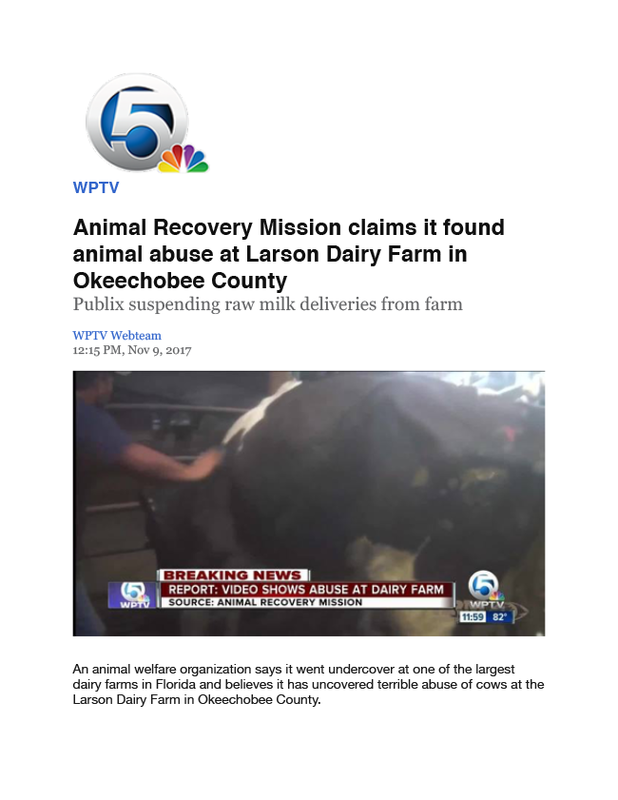 Veritably, the opposite actions were produced when one of Larson’s former employees (and ARM investigator), who attempted to disclose animal abuse upon this operation, was served Instead, with a lawsuit to retract any statements of animal abuse concerns. 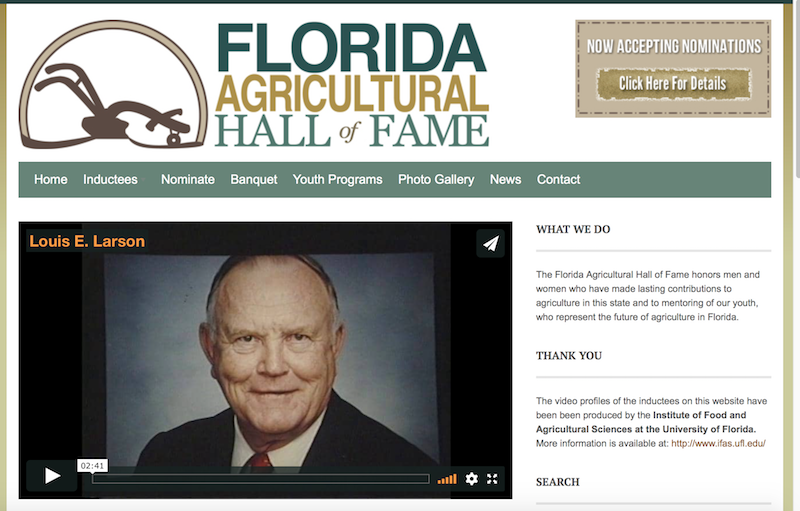 This is in contradiction of the company’s own code of ethics, clearly lined out in the employment contracts. 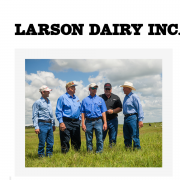 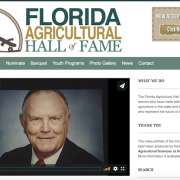 With The Larson’s Families strong ties with state universities and statewide educational programs, Mr Jacob Larson himself is clearly violating legal and ethical codes of conducts upon the animals under his care. 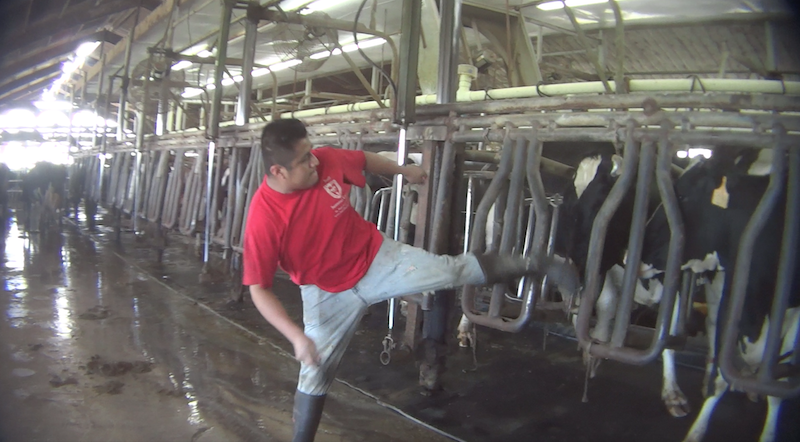 He continues to subject constant abuse to his cow herd. 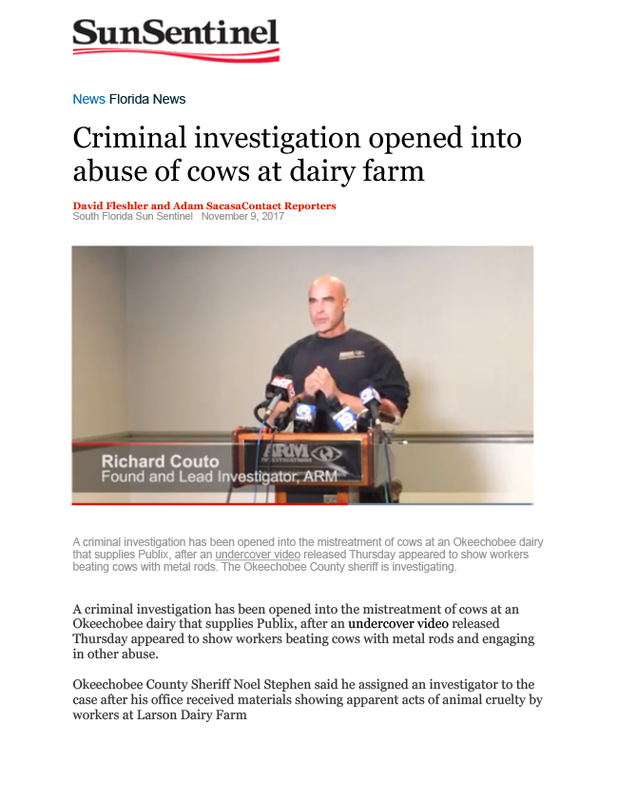 To learn more about this investigation, please click HERE to read the entire findings of the Larson dairy farm investigation. 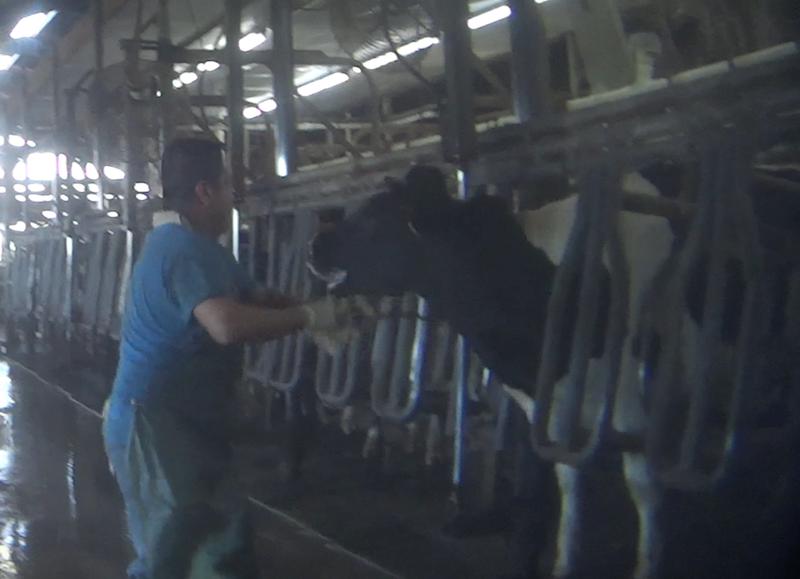 ARM goals lie within exposing the dirty secrets that lay behind the walls of conglomerates of animal agriculture business, like the dairy industry. 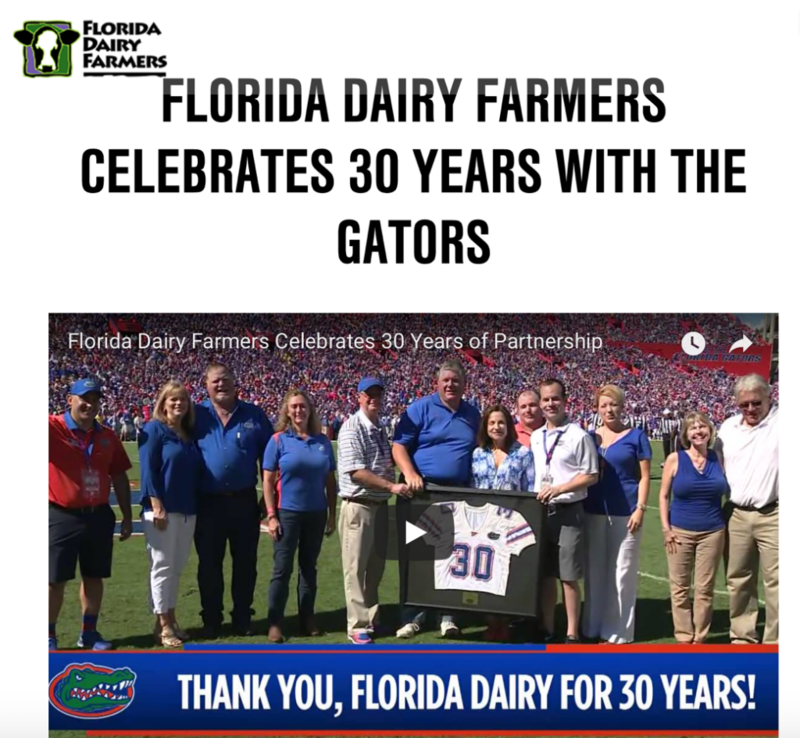 The chain of command and partnerships involved along the way from farmers to producers, distributors (South East Milk) and your local supermarkets such as Publix, is causing epic animal abuse that occurs every single day. 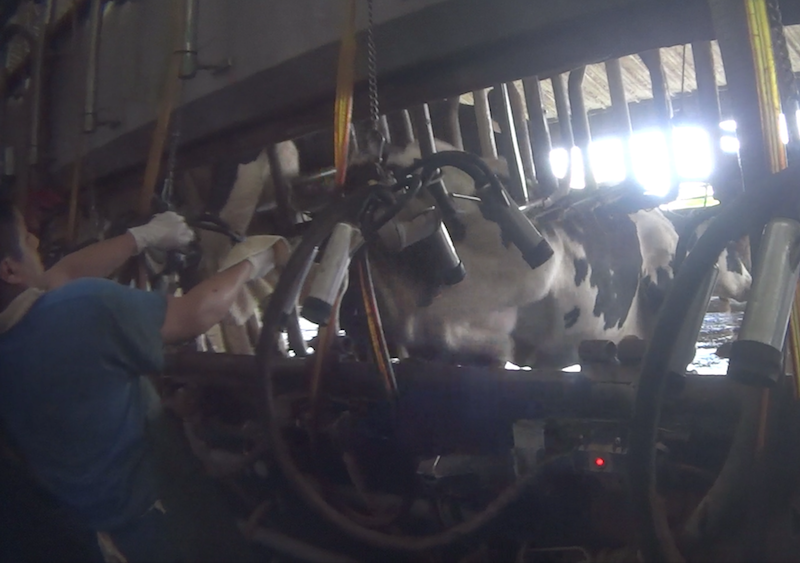 With so many alternatives of dairy available in todays society, there is an imminent need to end the cruelty associated within these operations for our own consumption. 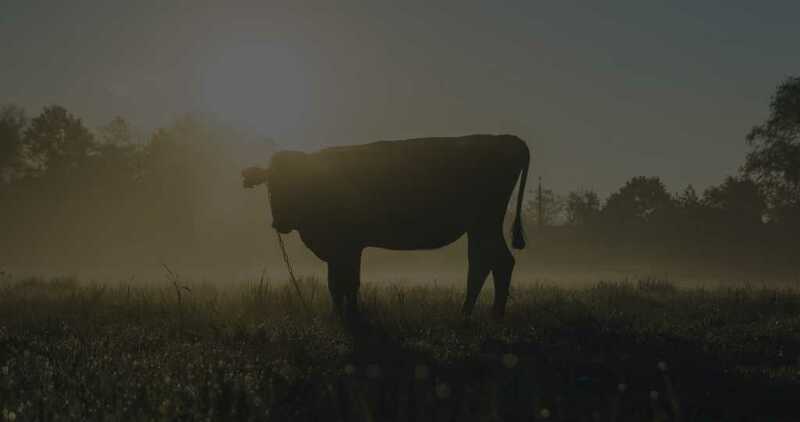 ARMs message stands to adopt plant based diets, compassionate lifestyles and to go vegan.